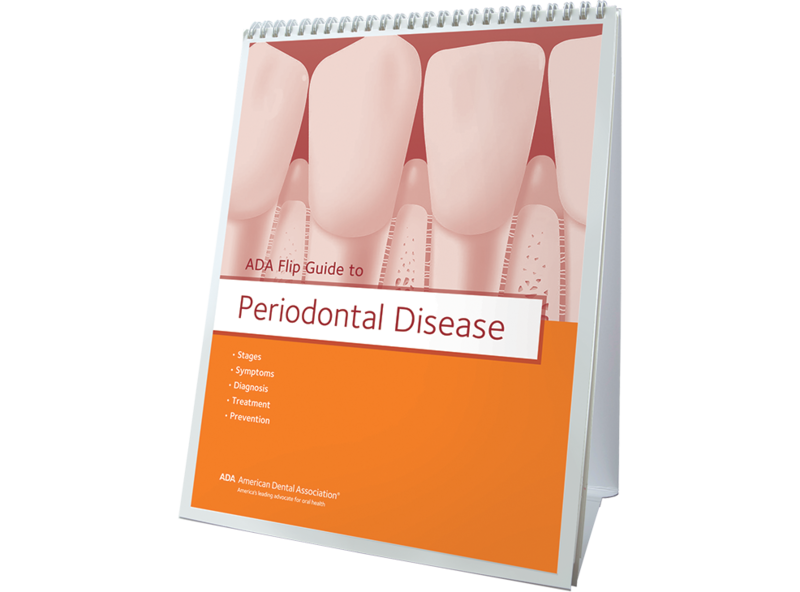 Flip open this guide and let the perio pictures do the talking! Photos, illustrations and text delineate each stage of periodontal disease. Treatment graphics show scaling and root planing and perio surgery. Updated to now include gum recession and gum disease with braces. Also educates patients about hygiene with step-by-step brushing and flossing photos. Use chairside or pop out the built-in easel and display in a treatment room or reception area. 13 pages.